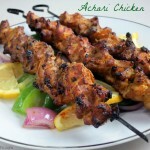 This Achari Chicken Kebab is the best chicken kebab I’ve ever made. These spicy, tangy, succulent bites of chicken are grilled to perfection. 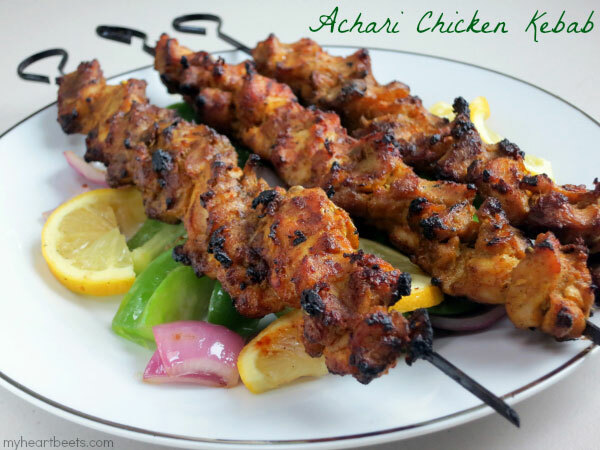 Achari Chicken is made with the same spices that go into “achar.” If you’ve never had achar before, it’s an Indian pickle – very different from the type of pickle you might be used to eating. Indian pickles are slightly sour and somewhat spicy. They’re delicious. I used to love eating plain roti (bread) with achar as a kid. 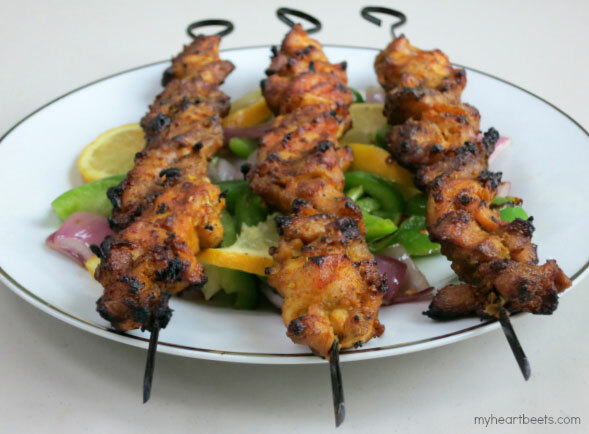 The spice mixture for these kebabs is made using whole spices. Freshly ground whole spices have SO much more flavor than pre-ground spices (who knows how long those have been sitting on the shelf anyway). If you want a truly spectacular dish, always go with freshly ground. Get yourself a trusty little spice/coffee grinder – and see the difference it makes in your cooking. You won’t be disappointed. You can buy whole spices online or just get them from your local Indian grocery store to get the best prices. Typically at my house, my dad does the grilling. In fact, it’s tradition for him to grill on Father’s Day – which is coming right up! We’ve tried taking him out to celebrate, but the fact is he’d rather grill for the family. Maybe it’s a dad thing? I think this dish should be on your menu this Father’s Day or on the Fourth of July or anytime this summer. 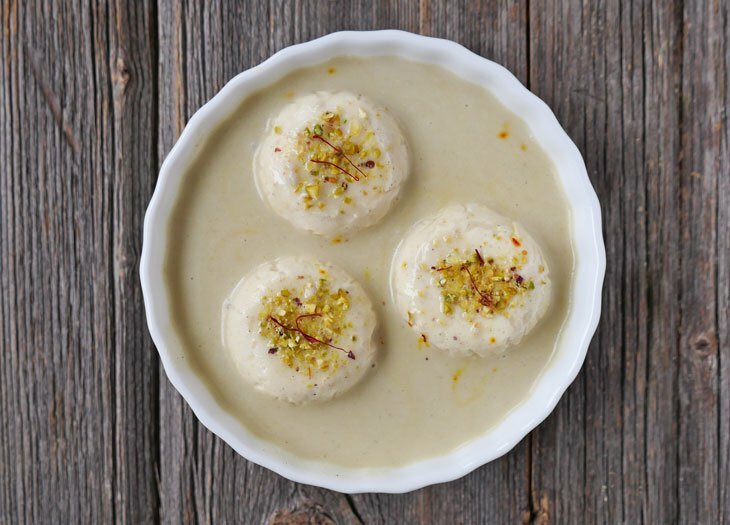 If you make achari kebabs even once this summer, you’ll definitely make them again. Trust me. ½ cup coconut cream from the top of a refrigerated can of coconut milk . Freshly grind the fennel seeds, fenugreek seeds, kalonji, black peppercorns, and cardamom seeds. Add the freshly ground spices and all remaining ingredients to a large bowl and mix well. Add the chicken pieces and mix until well combined. Allow the mixture to marinate in the fridge for 2-8 hours. Take it out 30 minutes before grilling to allow the chicken to come to room temperature. Thread the pieces of the chicken onto skewers. Grill on high heat (lowering to medium-high if needed) until golden brown and cooked through, turning skewers occasionally. Transfer skewers to a platter and serve on top of grilled onions, bell peppers and lemon wedges. If you’re not dairy intolerant could you use yogurt instead of the coconut milk? Wow, can’t wait to try this! These look so awesome! 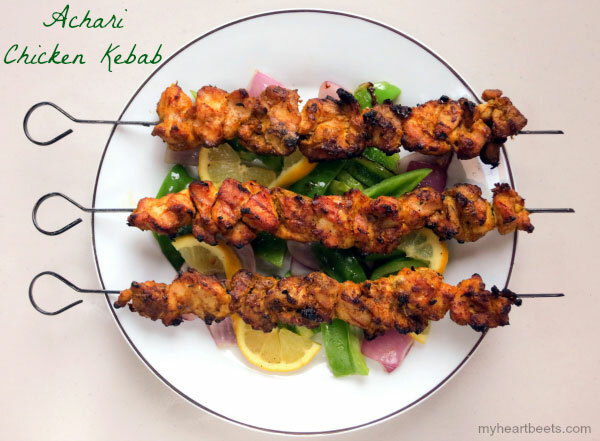 My husband and I are really in to kebabs and these will have to be made soon! I’m not sure I could find all the spices, but it sure looks delicious. I know we would love this! Looking forward to making it! This looks so good! Def want to give it a try. Your recipes are so amazing, I’m so excited to try this. Made your Naan last night and it couldn’t be any easier. The picture looks amazing! Looking at the recipe’s ingredient list though; I’ve never seen mustard oil though! I wonder if I could make some with avocado oil and mustard seeds? Hi – I am also wondering if mustard oil is necessary or if another type of oil can be substituted. 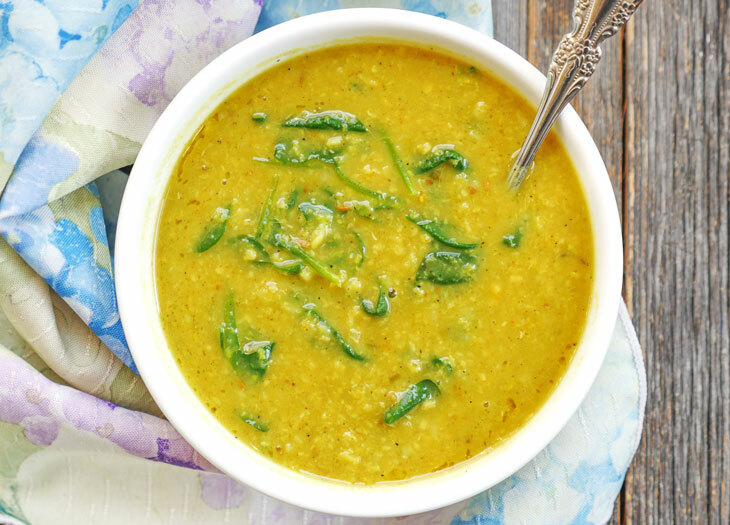 mustard oil has a very distinct flavor that other oils cannot replicate – but the decision is up to you! Thank you. I love your recipes so I’m going to find some and make this, it sounds amazing. So yummy looking! We grill year ’round and are always looking for new things to try. i think you’ve inspired me to grind my own spices! I was SOOO wanting to try this tonight but didn’t catch the fenugreek seeds in the recipe first time I looked. I’m definitely going to try it asap! My lovely neighbor introduced me to Achar many years ago and it is now a staple in our house, I use it on everything. 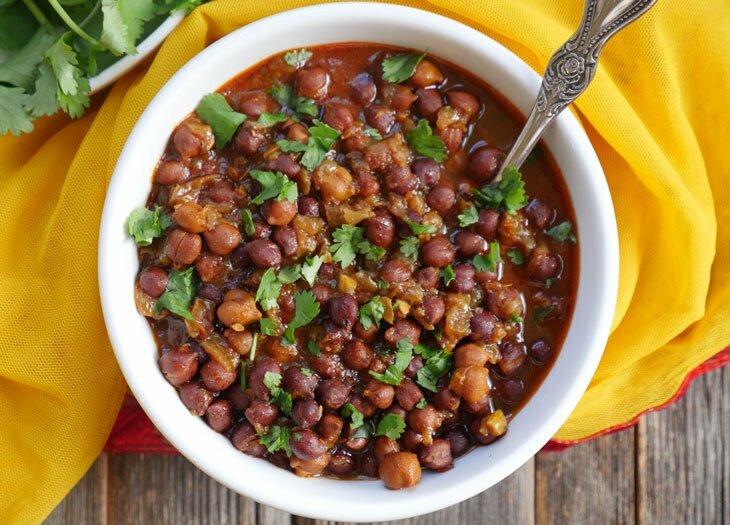 I’ve never tried making it from scratch so I’d love to try to make this recipe…we have a favorite Indian store close by so I hopefully will find all the spices there. Thank you for the recipe. Looks so delicious! I can’t wait to try this with summer grilling! Love to try new recipes. This looks good. Looks great, but I can’t make it until I can find fenugreek and cardamom pods. Looks so good. going to try tonight!! Love your blog, love Indian food, and have already made several dishes! thank you! Sounds so good! I love grilling! Will definitely give it a try. Sounds really good. Your food is so delicious! Cannot wait to wow my husband with another great recipe! I love your recipes and this looks soooo good! This looks SOOO yummy — can’t wait to try it and share with my neighbors! (I live by myself so if I cook or grill anything I usually share.) Thanks for sharing this. Love to grill, looks so good! I think this recipe looks delicious. The mix of spices sounds amazingly good. All of those spices combined with coconut cream sound like heaven! Recipe sounds great and I hope to make it soon! The kabobs look great. Lots of ingredients I’ve never used before. (I am trying to cook more) The grilling accessories would be a sweet gift – it could be my Fathers Day gift. Thanks for the post. Okay! This looks delicious, now I’ve GOT to get myself a small coffee/spice grinder. Will definitely try this. Asked you a question about it on the fb comment. Made something similar with Aleppo pepper the other day and it was great so this will be another excellent one to add to my grilling repertoire! Thanks! Looks so delicious! Would love to try the recipe!! These look perfect to make this summer! 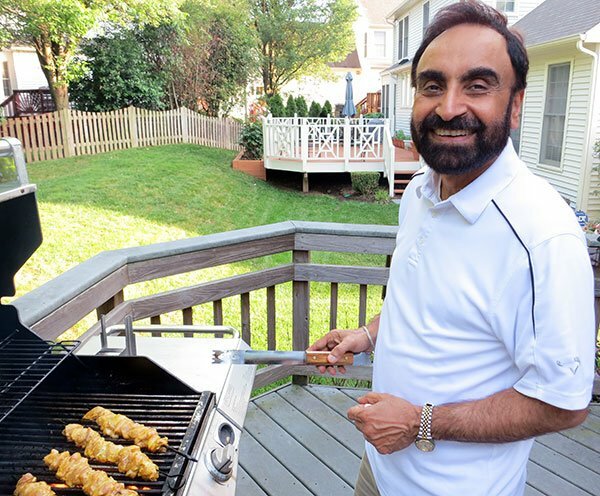 Only problem is, whenever my dad puts something on the grill, he either burns it or under cooks it….looks like I may have to take over! I got a coffee grinder so I can grind my own spices. This recipe sounds like a good use of it. These look delicious! Would love to win the grill pack with the avo spray! Wonder what stores will carry that?! This looks delicious. Looking forward to trying this. As I am the griller, this is my recipe. Looks so good. Oh yummy this recipe is perfect! These kebabs look amazing! Can’t wait to try them! This looks fantastic. I’m very excited to try it! I have now made many of your recipes as well as directed many of my family and friends here. I am part of a lunch group which since trying your recipes has insisted I “keep it Indian”. Such a hit! Thank you thank you for your amazing recipes and presence. What a gift to the Paleo world! Really like th look of this dish. Are the chicken thighs skinless or do you leave the skin on? I buy skinless thighs for this recipe. Hope you love it! Trivia for me and my guests… Is this pronounced “atchaaree” or “akkarree”? This turned out lovely! Thank you, thank you, thank you for this website – now I can cook Indian food and stay paleo! Please produce a hard copy/Kindle version of your cookbook soon! Saloni, I’m so glad to hear that! 🙂 And maybe one day! Another hit! Everyone enjoyed this one…Keep up these great recipes coming!